What titles are included in my IICLE Online Library subscription? The contents of the entire current library of IICLE publications are included within your subscription, as well as all associated forms in rich text format. 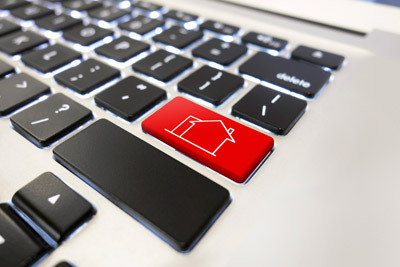 Select forms have been collected and assembled for convenience and placed in a separate forms database for you to download quickly when you are in a hurry to get to a form. The forms content in the forms database is derived from the handbooks; we’ve arranged the pieces of forms broken down in certain books into intact forms and made browseable separately from the publications. You also have access to select archived IICLE publications in the archive database. Our extensive library goes back 63 years, and we are adding new “old” content each month, so check in periodically to see what’s available! Can I log in from any computer or device of my choosing? Yes, you may access your subscription content from any device. Your username and password allows you to log in from any location with an active internet connection. Why can’t I view the text of a book or contents of a form I selected? You must be logged into your iicle.com account to read the contents of any book or to view forms content in the Online Library. When I search for a book, my results appear to require payment to view the book. Why? You must be logged in for the system to recognize you as a subscriber and permit you to view library contents. How do I locate forms in the Online Library? You can conduct a keyword search in the library generally OR within the forms section of the library to find a specific form. You can also view a “List of Forms By Chapter” when you have opened a particular title by clicking on the top link within the Table of Contents along the left-hand margin of the reading pane. What are my options for using library content? Aside from viewing the content directly on your screen, you also may download handbook sections and chapters to a printable PDF file and print as desired. You may copy, paste, and edit sections, and you are welcome to save de minimis portions on your computer for offline access while you work on a project. However, as our End User License Agreement states, it is not permissible to retain copies of text on your system. All forms are available for download as Microsoft Word documents. You may copy, paste, edit, and print those forms as desired. How do I search for CLE programs with my All-Access subscription? Once you have signed in to the IICLE website, hover your cursor over “Programs” in the main menu on the home page and select “e-learn” from the drop-down menu. This will take you to the e-learn web page where you may scroll down and select a practice area for browsing. Add those programs you choose to your “cart” and then follow the “checkout” process. NOTE: Your All-Access subscription status automatically applies a 100% discount to individual online programs, but it is necessary to complete the checkout process for the program to be added to your account. Once the order is confirmed, go to your “My Account” page, select the e-learn tab, and begin viewing the program you chose. 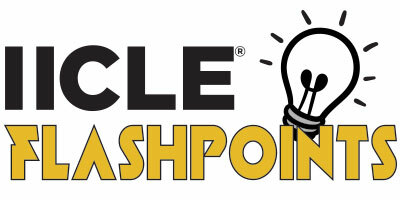 Where can I find the credits I have earned for watching online CLE? You can see all your IICLE-issued credits on your My Account page; simply log on to view them. You can also input hours received from other providers to keep your CLE credits all in one convenient location. Can I watch more than 30 hours of CLE? Yes. Your subscription entitles you to view unlimited online, on-demand programs. Check with the Illinois MCLE Board for specifics on carry-over credits past 30 hours. There is a minimum 12-month initial term for new library subscribers, which can be paid either annually or in monthly installments. Upon completion of the initial term, the subscription renews automatically, and may be canceled at any time. The term for All-Access subscriptions is 12 months, with no option to cancel during the term. This is due to the CLE credits reporting associated with All-Access subscriptions. Yes, you may log in and update your credit card information, change your profile or manage your preferences at any time and from any device with an active internet connection. Can I have multiple users within my firm or organization? 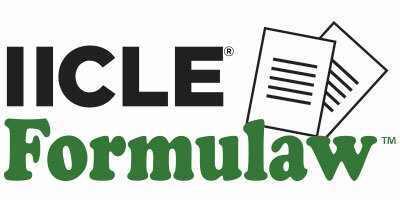 Certainly; we are happy to send one invoice to your firm for all those who have an IICLE Online Library subscription. 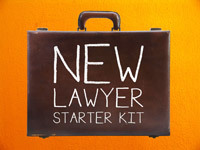 If you have more than 10 attorneys in your firm or organization, our Quick Connect option may be right for you. Due to the CLE credits associated with All-Access subscriptions, All-Access subscribers must have individual accounts. However, upon request we will send a single invoice to law firms with multiple Users All-Access subscriptions. What are my subscriber benefits? 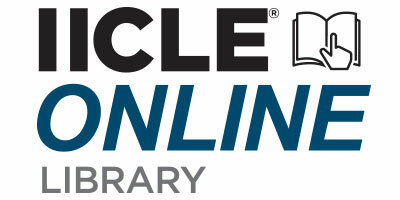 In addition to 24-7 access to the complete library of IICLE publications, online subscribers also enjoy an exclusive archive database of past editions of IICLE titles, a database containing forms content only, 40% off print book and Formulaw automated forms purchases, an exclusive monthly newsletter, and special perks at IICLE live CLE events. All-Access subscribers get all those benefits, and they also receive 50% off all live event tuition! How do I take advantage of my special pricing benefits as a subscriber? Anytime you are logged into the IICLE website, the system will automatically display your subscriber price with your available discounts reflected. A helpful hint for checking your login status: on the main home page at iicle.com, look for the “Sign In” prompt beneath the phone number in the upper right-hand corner of the screen. If it says “Sign In,” that means you still need to log in, but if it says “[YOUR NAME]’s Account,” that means you are logged in as a subscriber. If I have questions, is there someone to call for help? Our office is open Monday through Friday, 8:30 a.m. – 4:30 p.m. at 800-252-8062, and assistance is available during office hours to help answer any questions you may have about your subscription. Our website also includes a live chat feature which operates during office hours. Please indicate “subscriptions” as the “department” about which you have a question. First, please note the required term of your subscription. If you have questions, please contact us at the numbers listed above. If you are in the first 12 months of a new Online Library subscription, there is a one-year completion requirement. Once that 12 months is fulfilled, you can cancel at any time thereafter with proper notice. All-Access subscriptions have no cancellation option, due to the nature of CLE credits awarded in conjunction with this subscription type. Please note that any subscriber who fails to fulfill the initial or minimum subscription term for any subscription will be ineligible to register for any future subscription and will be liable for the full subscription fee associated with a completed term. Can I make a suggestion for online subscriptions? Yes! You can send us an e-mail.(subscriptions@iicle.com). Be sure to make a notation that the message pertains to subscriptions.